I spend my days eating my way around London, and there are so many restaurants, cafes, and meals that never make it on to The Swindian, as I simply don’t have enough time to blog them all! This September, I have eaten at some truly remarkable places, and so it seems a pity not to share the love. For this reason, I’ve stolen (with pride! 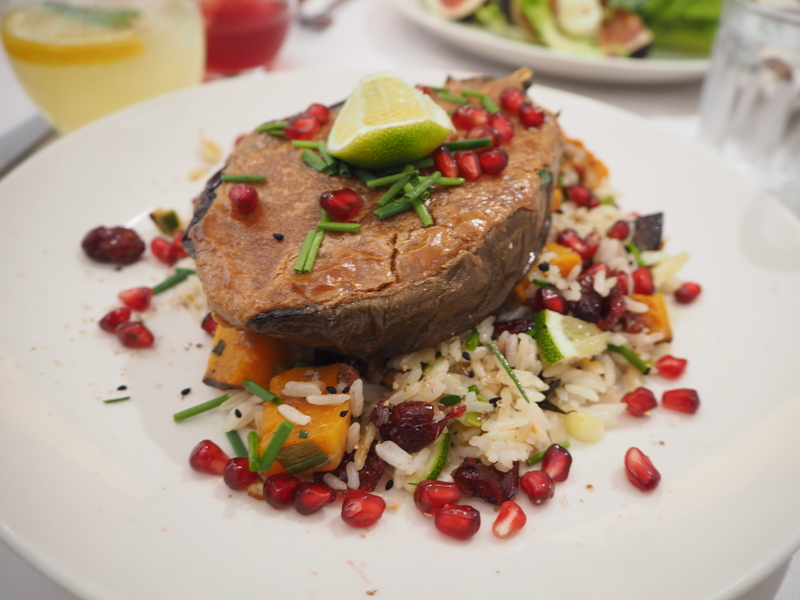 ), Curious London’s idea of ‘What I ate in September’, with the slight difference that I didn’t eat any meat, so all the meals are vegetarian or pescatarian, with a very cheeky bit of meat on September 30th (I simply couldn’t resist the lamb at Social Eating House)! I’m leaving for a 6-month trip across South America at the end of October, so this also seemed a perfect way to once again remember why I love London so much! If you want to see more regular foodie updates, follow me on Instagram (@theswindian) for my attempts at #foodporn! 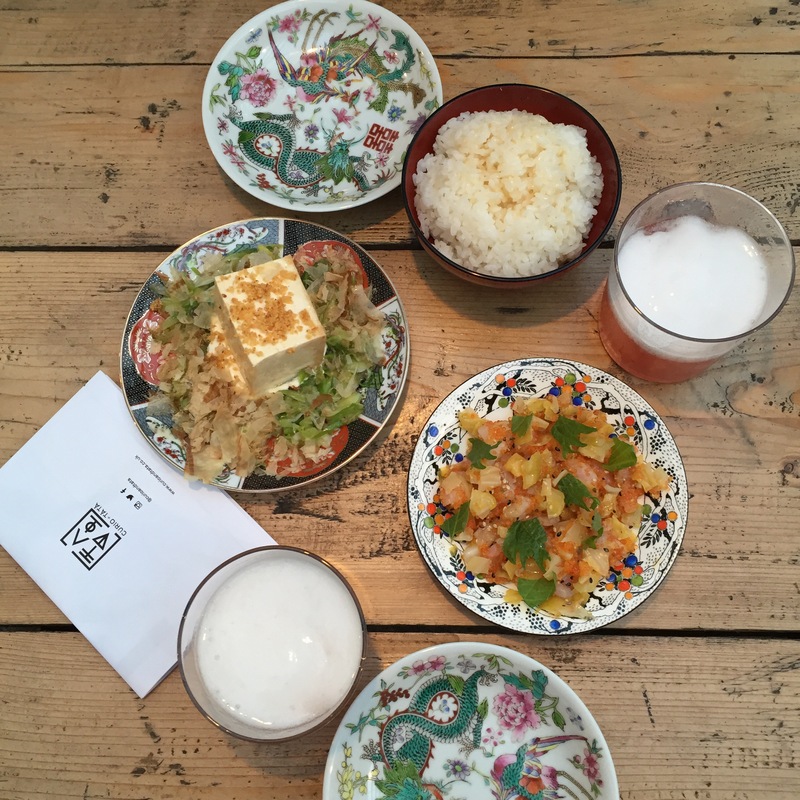 This slightly odd fusion of Chinese and Portuguese boasted amazing flavours in the slightly out-of-the-way location in Haggerston. They’re only open Thursday to Saturday, and the place is tiny, but has a cute outdoor area (less relevant now that October has begun!). 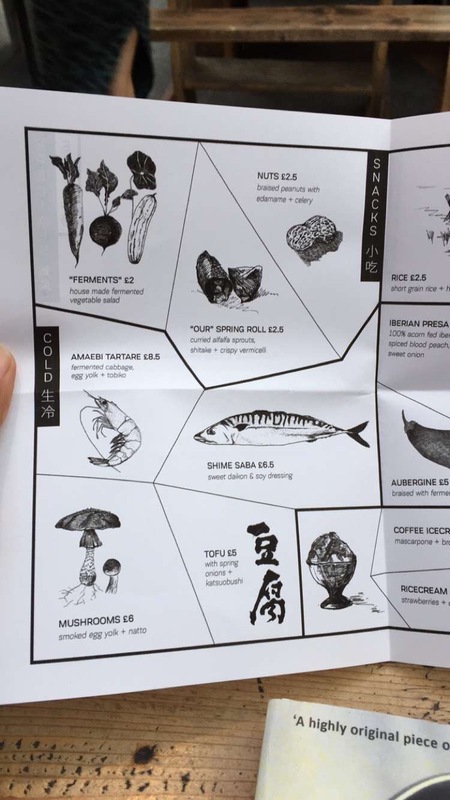 I adored their quirky menu, beautiful crockery, and sticky rice, and the dishes that stood out for us were the incredibly fresh mackerel, unusual nettle tempura, juicy yet crispy spring rolls, and mixed mushroom dish. Nothing like I’ve ever tasted before, I highly recommend it for its novelty factor! This meal did make it onto the blog, as it was one of the freshest, most flavoursome meals I’ve ever tasted. The Palomar is still my favourite Israeli in London, but this establishment comes very close, and that aubergine dish still makes my mouth water at the thought. Read about it here. An all-time favourite, we visited on a Friday night and were treated to live jazz after 10pm. I love their superbly reasonable prices, central location, and their abundance of waitstaff. For once, I didn’t have my standard steak hachee (due to my meatless month), so I went for the sea bass fillet with olive potatoes and sauce vierge instead. It didn’t let me down, with juicy olive bits peeking through the potato mash and gorgeously soft fish! 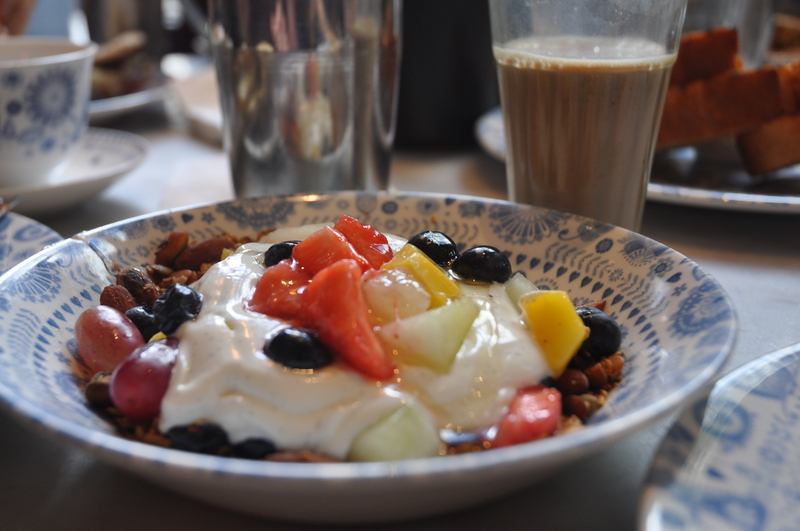 My favourite breakfast in London, I rarely venture to Dishoom for dinner due to their no-reservation policy. After we were told to wait for nearly 2 hours at the Covent Garden branch, we simply legged it over to Carnaby Street, where we had a drink and were seated within 30 minutes. Their kebabs are incredible, but I particularly love the crispy fried okra and paneer tikka. My visiting Brazilian friends were fascinated by the house black daal, claiming it was one of the most unusual things (in a good way!) they’d ever tasted! A wonderful lunch brimming with sushi and sashimi, with stellar cocktails, this one did also make it on the blog – read about it here. 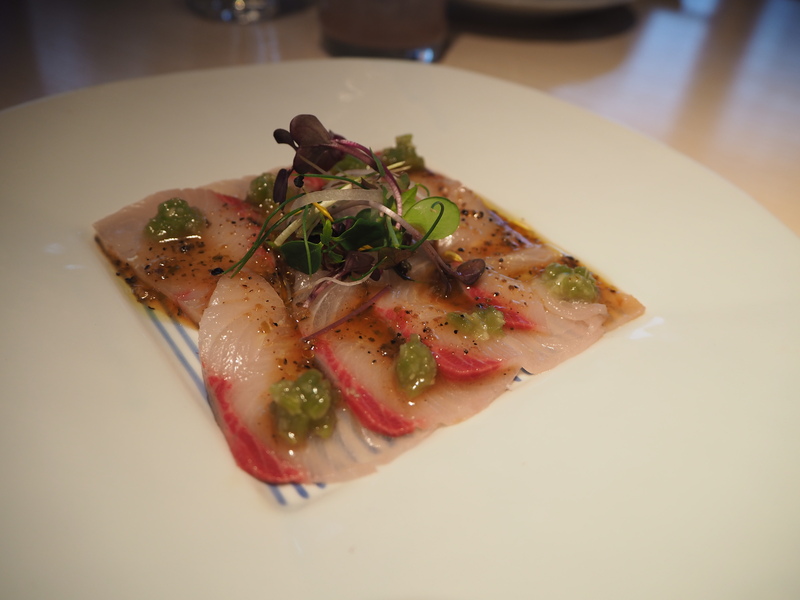 My ‘last supper’ with Daddy Swindian before I leave for South America was a Michelin-starred seafood tasting menu. Due to the emotional occasion, I left my camera at home and didn’t photograph a single dish, but he made up for it by featuring the evening on his own blog! Read it here. I love brunch, but I’ve become frustrated and outraged at the prices that most places in London charge. Charging £13 for avocado toast is just too extreme, no matter how good it tastes! 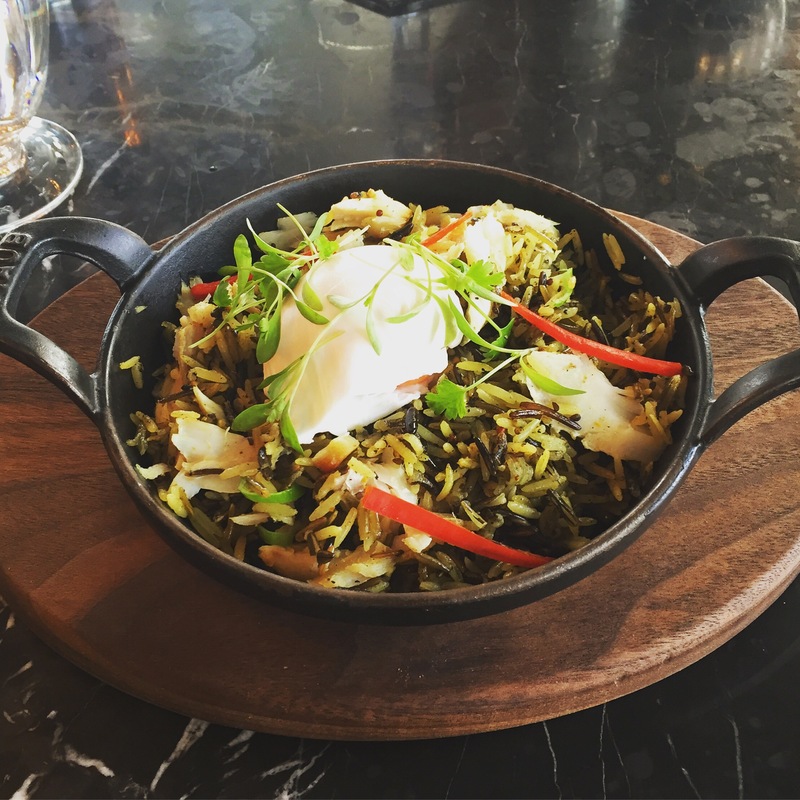 Plum & Spilt Milk had a great atmosphere and gorgeous decorations, but my kedgeree was a little dry, and the portion (see below) was pretty small for what they charged (£12)… I don’t think I’ll be back anytime soon. 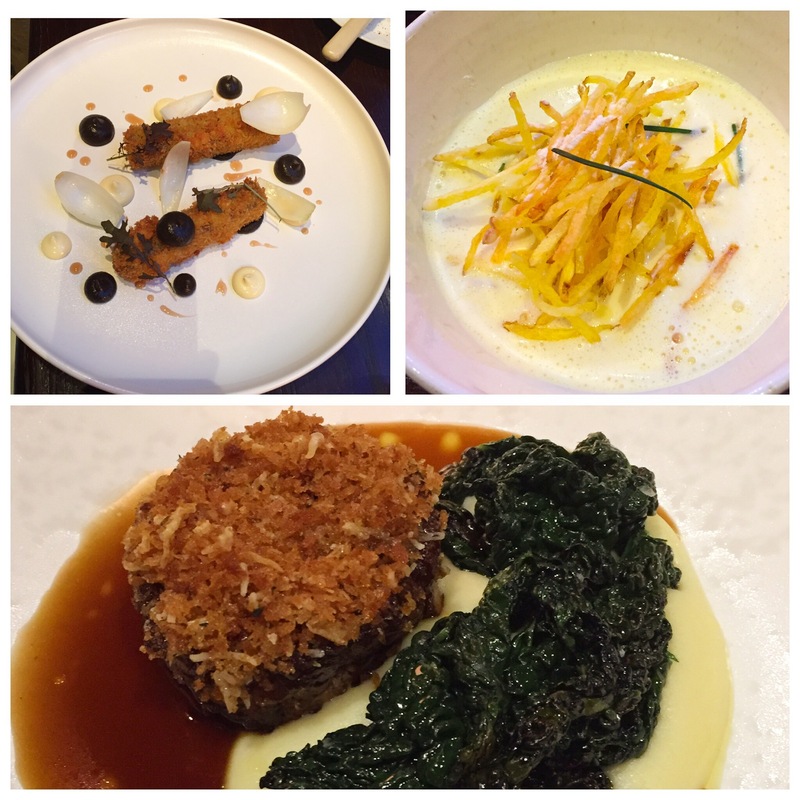 On a Friday night after a long week, my Turkish friend took me to Babaji, a place I had seen often (due to their prime location on Shaftesbury Avenue), and heard about even more, as it is owned by Alan Yau (of Yauatcha, Busaba, and Wagamama fame). The service was authentic and friendly, and the pide was to die for. It’s a controversial statement, but I think I may prefer it to Italian pizza…? 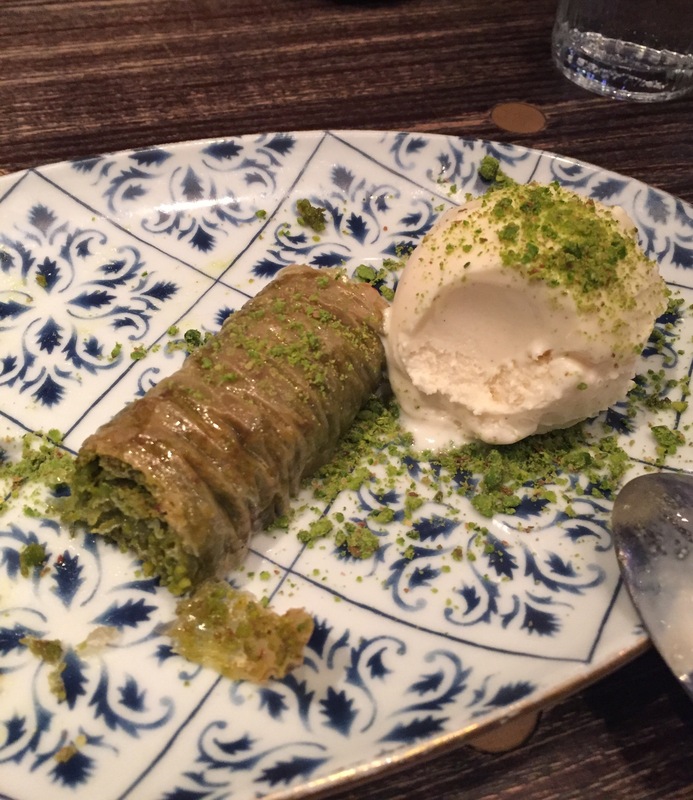 I also went mad for their pistachio baklava, which was fragrant and nutty, but not overwhelmingly sweet. A winner all around! I had brunched at this Notting Hill establishment before, and although I went for dinner, I chose the avocado toast with poached eggs. Slightly ironic, considering my comment on avo toast above, but there weren’t that many vegetarian options, and this portion was extremely generous, with two poached eggs to boot… I didn’t even need the fries that I overindulgently ordered on the side! The interior of the Electric Diner is a bit dark, but this all adds to the atmosphere, along with the red booths, and they offer a discount if you catch a film there afterwards. Listed as one of Time Out London’s top 10 restaurants in the city, I’ve been yearning to eat at Social Eating House for a while now. It was part of a romantic ‘friend date’, followed by the cinema (we saw Anthropoid, which was phenomenal, do go see it if you can!). Jason Atherton’s reputation precedes him, and his prices certainly match that, however, thanks to an early evening deal, we were able to enjoy two courses and a cocktail for £30, which was a bargain considering the a la carte prices. The starters were some of the most incredible dishes I’ve ever had, with the vichycoisse absolutely blowing my mind and the crispy beef melting in my mouth. It was therefore even more disappointing when our lamb main course ended up being very, very salty. The first couple of bites were bearable, but it escalated throughout the dish and I finally had to leave some on my plate, feeling sad as I asked for more and more tap water. The cocktail was amazing, and the complimentary bread and smoky butter were fantastic, too, but the main course just spoiled it for me, which was a huge pity! So that’s a flavour of my pescatarian September! Have you eaten at any of these restaurants? Where was your favourite September meal?